Варочные камеры купить в Алматы. Варочные камеры заказать по выгодной цене - Uni-Tech. Фото, описания, характеристики, отзывы. Доставка по Казахстану. 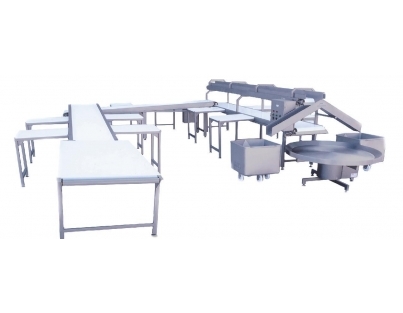 With a horizontal air circulation for all products which are treated in a lying position. JET SMOKE is a smoke circulating system which reduces the smoke emissions to the statutory levels - in fact below them. The smoke is continuously regenerated via the smoke generator. The benefit: the circulation system is sealed; no fresh air enters the system and there&apos;s virtually no exhaust gas. 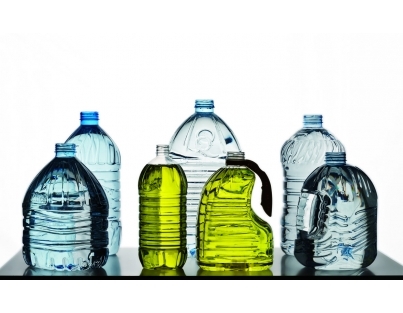 This method ensures a particularly environmental friendly and economical operation in all processes. 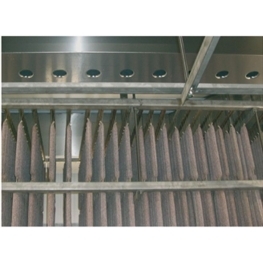 In this closed JET SMOKE system the generated smoke is used in the best possible way. lower loss of weight as conventional procedures. In contrast to open systems the requirement of smoking materials for the JET SMOKE System is up to 40 % lower. Subsequent combustion units, smoke scrubbers or catalytic converters are unnecessary. 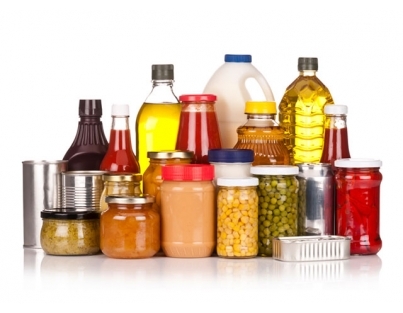 Fish products need a different processing than meat products. 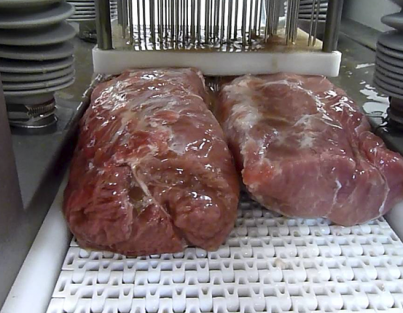 Salmon, trout, herring - and mackerel fillets for example, have to be placed in a lying position on grates or plates. 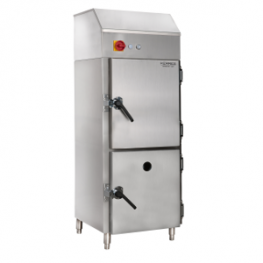 Kerres has developed a smoking system which meets these special requirements: The Fishsmoker System. 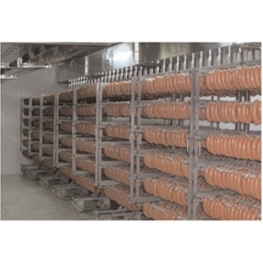 During the improvement of fish, poultry and other kinds of food, which have to be treated in a lying position, the horizontal air circulation system provides a consistent treatment atmosphere inside the chamber and ensures even drying results within the entire batch also with maximum yields. Some touches on the control panel are enough, then the microprocessor control automatically takes over: It constantly monitors and controls all the parameters and ensures a precise clima and repeatable, reliable processes. 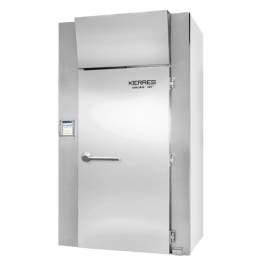 With the Hybrid Airflow Circulation System with air flaps for Universal Smokehouses you have the ability to control the direction of the airflow and reach faster processing times, higher product output, energy savings, less weight loss, and absolute uniformity throughout the final product. Perfect for product hung on sticks, or laid on screens. Throughout the world members of the KERRES family are cooking 38 screens of Beef Jerky at a time with absolute evenness throughout the entire truck. 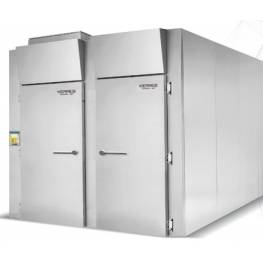 The KERRES Showering and Intensive Coolinghouses stand for modern and efficient production processes and minimum product cycle times. 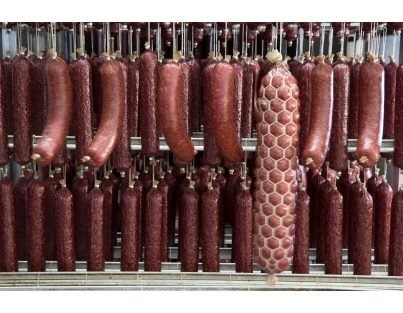 Immediately after the thermal treatment of meat, sausages and other kinds of food the product can be cooled down to a requested core temperature and packed. The air is cooled down in the circulation process. 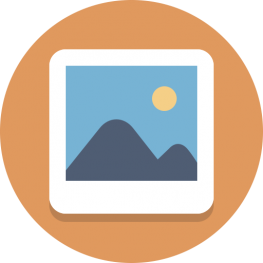 This process is monitored and controlled by a microprocessor. 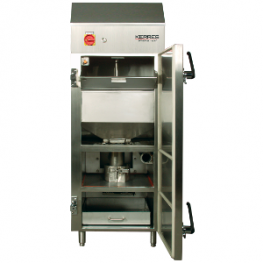 Whether baking or roasting of meat, sausages or other kinds of food: the KERRES baking- and roastinghouses provide the right preparations for all requirements - microprocessor-controlled for repeatable product quality at any time. 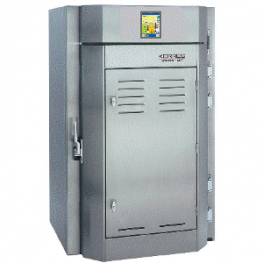 The KERRES JET SMOKE universal smokehouses provide a constant quality - with all smoking processes and heat treatment methods. The smouldering of the sawdust in the separate smoke generator and the exact co-ordinated circulation in the smokehouse ensure first-class products. The fully automatic process control enables reliable production processes. Various heating KERRES units are manufactured in modular design. They are flexibly designed and easily assembled. The robust stainless steel construction is CE tested. 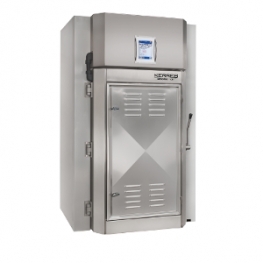 The Universal Smokehouse 2850 is available In various sizes and all current heating systems. 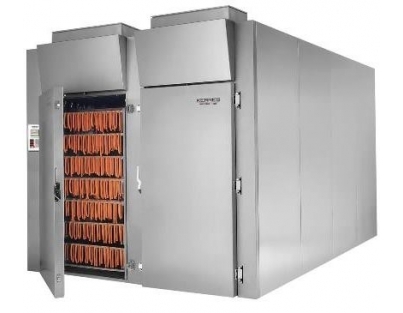 By combining smoke, thermal and cold treatment, especially small-caliber products can be produced very time efficiently in the semi-continuous system. 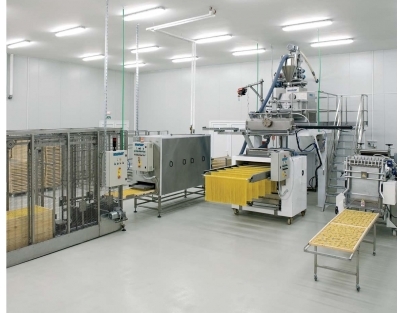 Automated workflows increase production capacity and reduce operating costs. The loaded truck is put onto the automatic conveyor belt. From then on, the conveyor belt takes over and pushes the truck to the right position into the smoke chamber. By activating the process control, the processing program is started. 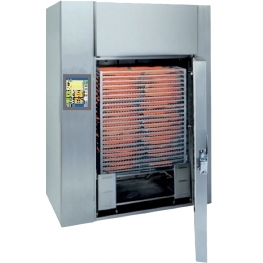 The unique KERRES hybrid air circulation ensures that shortest processing times are achieved. 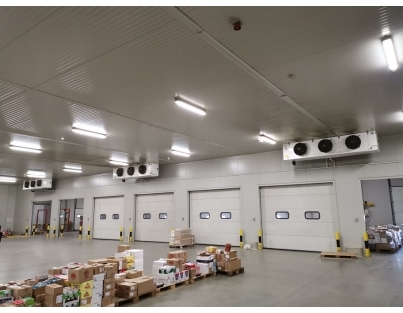 After the thermal treatment process, the space-saving lifting door between the thermal treatment area and the cooling zone gets automatically opened and the smoke trucks are driven into the chilling area. 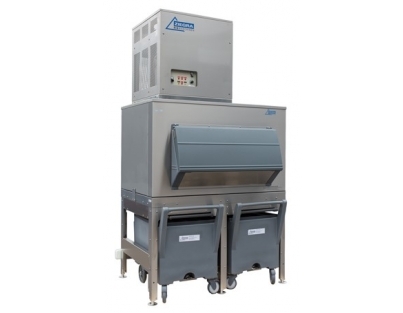 Then the lifting door closes and the system can be re-loaded at the front, while the products are showered in the rear area and cooled down to packaging temperature. 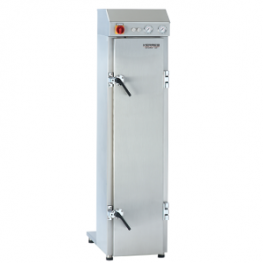 all smoking- and cooking-systems with the Hybrid Airflow Circulation System available. Other kinds of heating methods on request. Subject to technical modifications. * Units with sawdust smoke generator built into the door (RET-C-G). ** Units with friction smoke generator built into the door.(RET-C-RR). Advice for the practice: equipment for after conditioning should generally be 3-4 times bigger than the equipment for conditioning with smoke or the equipment for pre-conditioning. 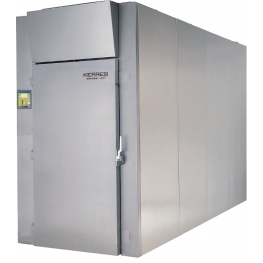 Only a few simple touches, then the microprocessor control takes over automatically: measures and controls continuously fresh air intake, humidity and temperature and takes care of a precise conditioning and of reliable repeatable processes. Storage and control of programs is easy thanks to a clear screen - in all common languages.